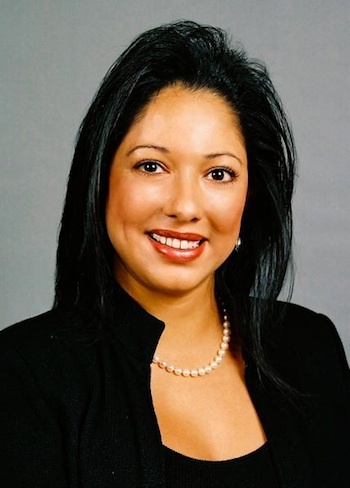 Marie Diaz is the CEO and founder of Dallas-based Pursuit of Excellence, Inc., which was recently named the fastest-growing private HR company on the Inc. 5000 list. In addition to running the now $20 million company that she founded in 1994, Diaz is also committed to speaking with business communities and groups about the type of executive leadership and efficiency Pursuit of Excellence wants to instill in its clients. Our classic customer is in the midsized market. Our target market is around 75 to 1,000 employees. Our biggest client is 13,000. We actually have divisions that manage small-, mid-, and large-sized clients separately, and we also work with municipalities. We’re a minority-owned company, so we get those opportunities, and we’re very excited to take them on. I used to work for a Fortune 500 company as the VP of HR, doing pretty much what I’m doing today, except that I traveled around the world for one organization … I was there almost 10 years, and I left primarily because I was traveling three and a half weeks out of the month, and I had three-, five-, and nine-year-old boys whom I never got a chance to see. 1994– Marie Diaz leaves a position with a Fortune 500 company to start Pursuit of Excellence. 1997– Diaz expands her business into a full scope of offerings and signs its first client, EMJ Corporation, a construction company with offices in Texas, Tennessee, and California. Pursuit of Excellence grows from $25 million to more than $1 billion. 2006– Pursuit of Excellence is one of the nation’s fastest-growing Latina-owned companies. Its revenues had grown from $200,000 to $10 million in four years. 2009– The company opens an office in New York. 2012– Pursuit of Excellence signs two large municipal clients—City of Fort Worth and DFW International Airport. Similarly, after returning from the Australian trip, I found the locks to my house changed and the furniture rearranged. Furious, I asked the live-in nanny for an explanation. The keys, it turned out, had been lost, so the nanny had to have the locks changed, and my sons had rearranged the furniture as a “welcome home” surprise. As I calmed down and greeted my sons, I heard the nanny mumble, “It’s your house, but I’m the one who lives here.” Though stunned, I couldn’t deny what the nanny said. I felt disconnected from my own life and from what mattered most—my children. I fired the nanny and quit my job. At that point, I realized that it’s not your net worth, it’s your self-worth you should be worried about. One of the biggest challenges when I was first starting out was my mother passing away. She was only 43, and died of an aneurysm. She was one of my biggest inspirations, and you sort of need a motivator when you start your own business. The second year in business, I had a horrible car accident and couldn’t walk for almost a year. They had to re-break my ankle three times. The last time they did so, I started making cold calls and booking appointments. It took a lot of mental strength to get from the doctor’s office to my first appointment for Pursuit of Excellence—in heels.